Instructions for posting your Book Now button on a Wordpress site. Placing a Book Now button on your website is an important step of your Genbook account’s setup process, and crucial to spreading the word about your online booking capabilities. Below, we’ll show you how to easily get your Book Now button on your WordPress website. TIP: You’ll need to have both your Genbook account and your WordPress Dashboard open, preferably in two tabs of the same browser. Then, follow the steps below. 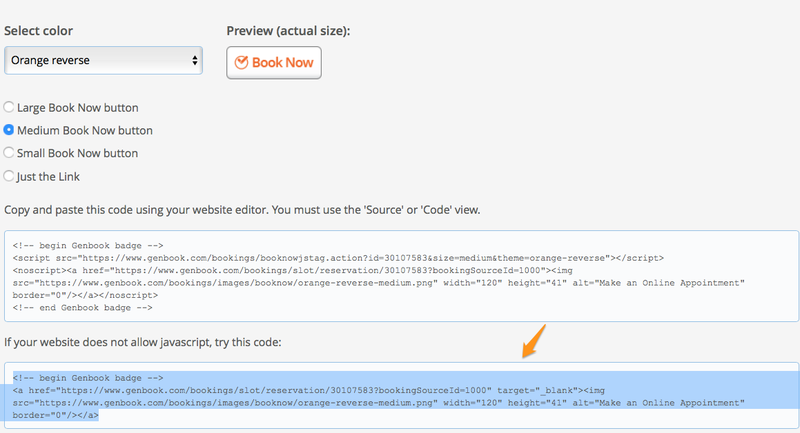 The Book Now button code is found in the “Place a Book Now button on your website” (bottom left) section of your Settings tab. You’ll need to choose whether you’d like to display a small, medium or large Book Now button on your site, then you’ll see the appropriate code(s). Highlight and copy the (shorter) code in the SECOND box on your screen. This displays the HTML code view of the Page, versus the WYSIWYG (What You See Is What You Get) view, which allows you to paste your own HTML code (the one that creates the Book Now button) on the page. 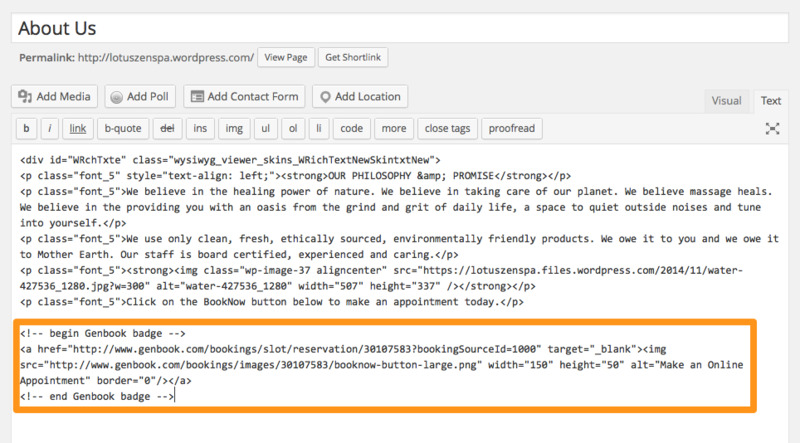 For example, if you want the button to show up at the bottom of the page, scroll to the bottom and paste the code there. From here, you can highlight the button and change its alignment (e.g. center it, if you’d like). You can also add more text above/below it, or even drag it to a completely different place on the page. 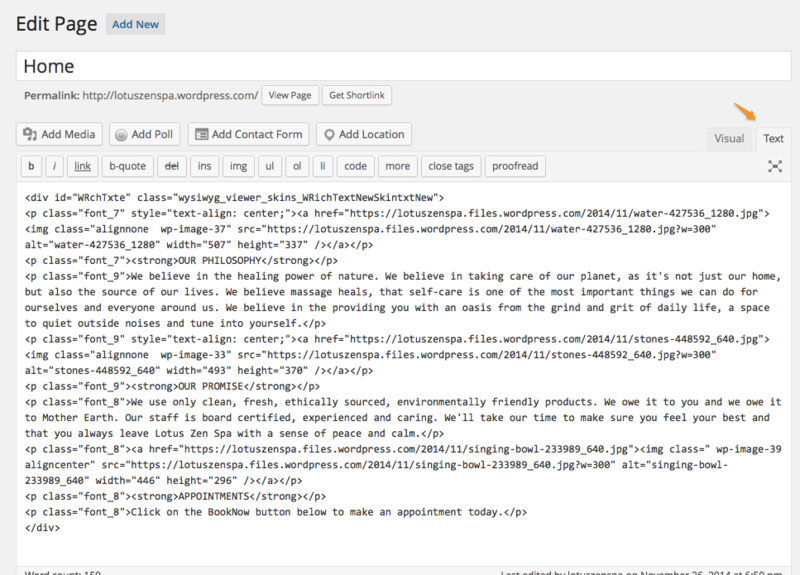 Hit the “Preview changes” button on the right of the screen to view what the site will look like when published. 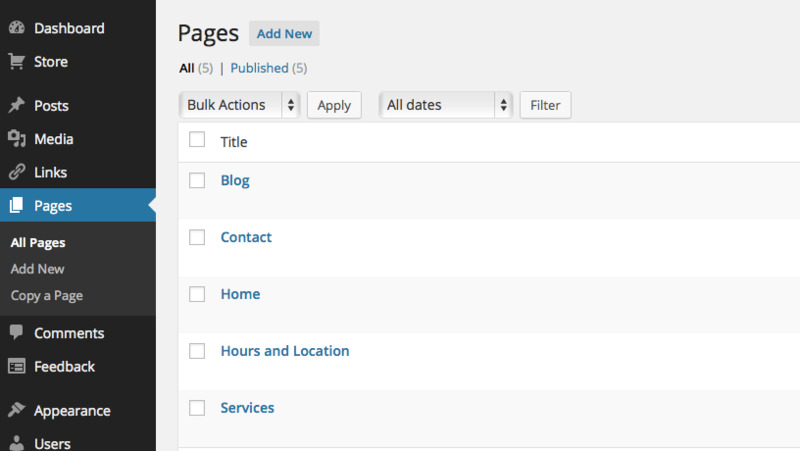 Once you’re satisfied with how the Page looks, click the “Update” button to publish changes to your site. Your Book Now button should now be displayed on your website, making it easy for your clients to find your Online scheduling page and make an appointment.